Time to remind everyone that extended warranty rates go up as your RV ages, and on January 1, everyone's RV is one model year older. So, if you are in the market for an extended warranty on a "new to you" RV or your current extended warranty is expiring, be sure to try to get your new extended warranty in place before year end. If you don't know anything about RV extended warranties, check out our RV Extended Warranty page which explains what they are, who is involved, pros and cons, what to look for, and how to get the most out of them. We believe that those that know the most about extended warranties will have the best experiences with them. Many of you know that we work with Wholesale Warranties and have since 2012. Every month, even after all these years, 30 - 50 people use our online RV Extended Warranty Quote Request Form to get a quote from them. The quotes are sent out very quickly, but it may take a couple of weeks to actually get an extended warranty in place, especially if inspections are needed. So don't wait until the holidays to try to rush it. Another year-end consideration is coverage eligibility on older model RVs. The following is from Wholesale Warranties. On our Quote page, I've listed several reasons why Wholesale Warranties is worth considering for your RV extended warranty needs. And I have a short list here. Wholesale Warranties only works with extended RV warranties with a proven history of positive customer service and easy claims processing to ensure customers are taken care of out on the road. 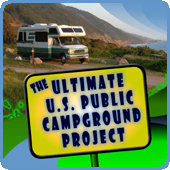 Long-standing history in the RV Community with major RV partnerships. A big part of the reason they have the best customer service in the industry is because of their internal Claims Department. Most warranty sales companies leave you high and dry after they make the sale, but Wholesale Warranties has staff that can assist during the claims process. While they don't process the claims, they can assist with claims issues and act as an intermediary between the claims processor and the repair facility. This a great value-added service. "Wholesale Warranties has been in the RV industry for over a decade, and has spent that time helping RVers plan, budget for, and ultimately avoid costly repair bills. The Viking Protection Plan RV Warranty, exclusively offered by Wholesale Warranties, is the culmination of this experience. We have used our extensive understanding of the modern RVer’s needs, in-depth first-hand claims experience and research, and impeccable customer service to create what we believe is the best RV Extended Warranty on the market." Though they still are a warranty broker and have some other plans they can issue, they are primarily quoting the Viking Protection Plan these days because of their success with it and their intimate knowledge of it. We had the Viking Protection Plan with our fifth wheel, and we now have it with our Class C motorhome. I'm confident that it will do what is supposed to do if and when we need it. Just so you know that we don't take our recommendation lightly, of all the business relationships that we have with various RV-related companies, this one was the scariest for us. Our reputation is all we have, and lots of people have had horrible experiences with extended warranties. Also, we hope people never have to use their warranty, but it's not until they do that they know whether or not they are ultimately happy with it. So, our fear was that we were promoting something that really could come back to haunt us. But after what is now six years of working with Jeff Shelton and his team at Wholesale Warranties, they have fulfilled everything they said they would do and the number of complaints we have received has been minuscule considering the hundreds of quote requests we send them every year. Quotes go out fast, and if they happen to miss one and we get an email, they are on it as soon as I ask them to follow up. Even the Escapees RV Club, which can be very stingy with endorsements, started endorsing Wholesale Warranties back in 2016. 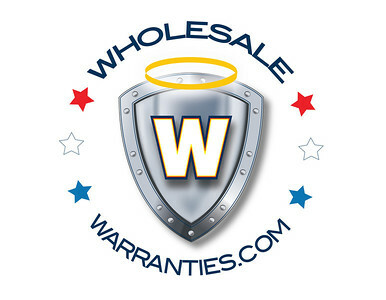 Should you purchase from Wholesale Warranites, the one thing I will add is to be sure to contact the internal Claims Department if you are having issues. Because most companies that sell warranties won't help you after the fact, RVers tend to forget that Wholesale Warranties has this after-the-sale support function, and I have found that problems often could have been averted if the customer had called them for assistance. And if that doesn't work and you are still unhappy, drop us an email, and I'll see that someone follows up. In the end, you may still not be happy with the ultimate result, but you should have a clear understanding and knowledge that someone delved into it for you. I don't know about you, but often all I want is a clear explanation even if I don't like the ultimate result. So, with this Journal entry, we hope you check out our RV Extended Warranties page to gain the knowledge you need when shopping extended warranties. And then, when you are ready for an extended warranty, keeping in mind first of the year price increases, please use our RV Extended Warranty Quote Request page to get a free, no obligation quote from Wholesale Warranties. 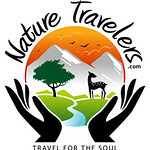 Or, if you prefer, request a quote directly on the Wholesale Warranties Quote page, and click on RV-Dreams.com in the drop-down box in the "How Did You Hear About Us?" field. Thank you.